There has been a lot happening with health care lately. It is likely you have heard or seen news about Obamacare, doctor shortages, the end of Medicare as we know it, and all the partisan battles that typically accompany these subjects. But what does it all mean? Is everything as horrible as it can seem? Here is an overview of how Georgians get their health insurance, what the Affordable Care Act (Obamacare) is, and what questions remain regarding health care. What are the parts that make up the health insurance system in Georgia? People in Georgia (and nearly all other states) get their health insurance in one of several different ways. Combined, these different insurers make up the system for how care is largely paid for in the state. Those who get private health insurance typically get it in one of two ways. First, many employers offer health insurance as a benefit of working for their company. Due to tax laws dating back to World War II, employers are incentivized to provide health insurance as a wage in return for work. Employers pay a portion of an employee and their dependent’s health costs, and the employee picks up the rest of the tab through a combination of monthly premiums and cost sharing. The second way people get private insurance is through the individual market. 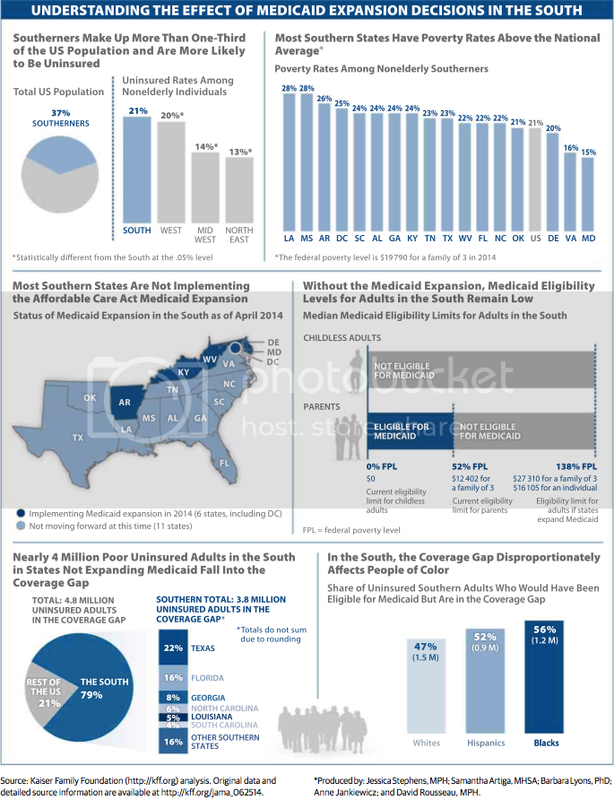 Prior to the Affordable Care Act (ACA), the individual market served a relatively small population of insurance purchasers, and the quality of the coverage varied widely in any given market. The ACA provided new structure to the individual market, which will be discussed below. Medicaid and the Children’s Health Insurance Program (CHIP) are another way for people to receive health insurance. On July 30, 1965, President Lyndon Johnson signed Medicaid and Medicare into law, establishing the two largest programs for government-provided health insurance. Medicaid is a program that provides health insurance for certain low-income people. Prior to the Affordable Care Act (ACA), this was typically limited to children, pregnant women, people with disabilities, and the elderly for some services. The ACA required Medicaid to be expanded to anyone earning less than 138% of the federal poverty line ($15,856 for an individual, $32,499 for a family of four) to increase insured rates amongst low-income, childless adults. In the 2012 ruling upholding the Affordable Care Act, the Supreme Court provided states the option to expand their Medicaid programs. To date, Georgia has chosen not to expand the program. The Children’s Health Insurance Program (CHIP) was established in the Balanced Budget Act of 1997. Like Medicaid, the primary beneficiaries of CHIP have low incomes, however the program is targeted primarily at children whose parents make too much to qualify themselves and their children for Medicaid. Like Medicaid, the program pays for health insurance costs with minimal cost being placed on the beneficiary. As noted above, Medicare was enacted with Medicaid in 1965. The Medicare program provides health care services to any legal resident of the United States over age 65 regardless of previous income. The Medicare program is divided into four parts that provide services in different ways. Part A of the Medicare program provides coverage for hospital services. Part B pays for other services not related to hospital care such as physician, outpatient or preventive services. Part C is another name for the Medicare Advantage program, which allows seniors to enroll in a health insurance plan provided by a private health insurance company. These plans receive payment from the Medicare program when they pay for services covered under Parts A and B of Medicare. Finally, Part D of Medicare pays for prescription drugs and was signed into law by President George W. Bush in 2003. Some data has been released in various surveys to indicate that the rate of insurance has increased, particularly in Medicaid and the individual market, due to the implementation of the Affordable Care Act. That data will be discussed below. The Affordable Care Act (ACA, also known as Obamacare or the health reform law) is a law passed by Congress and signed by President Obama in 2010 that introduces changes to the way that about 8.5% of non-elderly Americans purchase health insurance and provides access to public health insurance for 4.5% of low-income, non-elderly Americans. For Americans already eligible for health insurance through an employer, Medicare, or Medicaid, there are very few changes in their health insurance or their health care as a result of this law. What does the ACA change about the individual health insurance market? The largest change initiated by the law (impacting 8.5% of Americans) is the introduction of a new market structure where uninsured Americans can purchase individual health insurance. 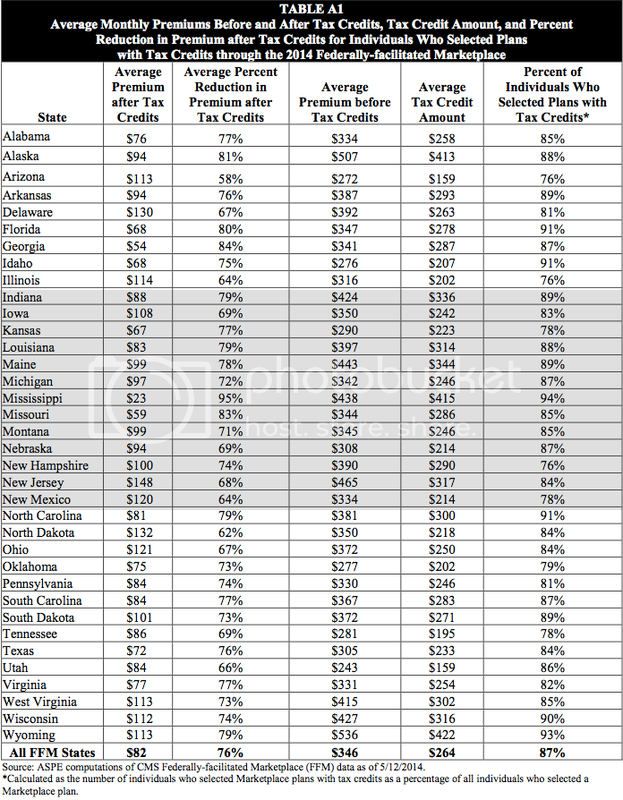 Prior to the Affordable Care Act, states varied significantly in their treatment of insurance on the individual market. Typically, states allowed insurance companies to refuse coverage to patients with pre-existing conditions. Insurance companies were also allowed to significantly increase premiums based on health status and gender, institute annual and lifetime limits on coverage, and rescind coverage. When fully implemented, the ACA does not allow insurance plans to discriminate against patients with preexisting conditions, prohibits insurance companies from charging more for coverage based on gender, limits companies from charging more based on health status, and eliminates lifetime limits and coverage rescissions. Additionally, the ACA institutes new health insurance marketplaces that create new places for people to purchase health insurance. These allow people to purchase health insurance through the federal health insurance website, healthcare.gov. These marketplaces also allow people making between 100% and 400% of the federal poverty line to receive subsidies for the purchase of health insurance. In Georgia, 87% of marketplace customers were eligible for a subsidy, and their average monthly premium post-subsidy was $54. What does the ACA change about Medicaid? As noted above, the Affordable Care Act required all states to expand their Medicaid programs to all eligible residents making less than 138% of the Federal Poverty Line. The Supreme Court allowed states to decide if they wanted to expand their programs. As of June 10th, 27 states have expanded their Medicaid programs, 21 states, including Georgia, have not expanded and 3 states have an open debate. Expanded Medicaid would allow those newly eligible to receive the same services that current Medicaid beneficiaries receive. This includes services typical to most health insurance plans like doctors visits and prescriptions as well as services tailored to help low-income people access health care like free transportation to and from doctor visits. Medicaid also provides strict limits to cost-sharing for low-income families so that cost does not keep people from accessing care. Medicaid coverage is an important component of financial security for those enrolled in the program. We reported previously on the positive benefits Georgia misses out on by not expanding Medicaid. Since then, more research has emerged to quantify these missed opportunities. The Council of Economic Advisors estimates that 114,000 additional people would have a usual source of health care, 38,000 fewer people would experience depression, and 64,000 more people would report good, very good, or excellent health if Georgia expanded Medicaid. The Kaiser Family Foundation notes that the “coverage gap” created by states not expanding Medicaid primarily impacts African-Americans and Hispanics. Finally, some states have taken unique approaches to Medicaid expansion that have allowed for reforms to Medicaid. Arkansas and Iowa are using a model called premium assistance that allows Medicaid dollars to be used to purchase private health insurance. Michigan has introduced health savings accounts as a way to allow beneficiaries to pay for care. Indiana, Pennsylvania, and Utah are considering alternative Medicaid expansions as well. Arkansas’ Medicaid expansion allowed them to make some of the biggest gains in insured rates in the nation. The ACA has been largely successful in its first year of implementation in lowering uninsured rates, albeit more so in states that have embraced reform. Critics of health reform have argued that premiums in the ACA’s individual market would spike in year two, however early indications are that premium increases will be modest with Georgia anticipating single digit increases and adding insurers to enhance competition. The law does face challenges owed to its complexity related to tax filing and and verification of proper information that must be addressed at the federal level. Opponents and supporters of the law contend that the employer mandate should be reconsidered. There is more to health reform than the Affordable Care Act, and the rest of the health care story lies in a series of unanswered questions. Health care costs have risen every year since the 1960s. Cost increases recently leveled off, but there is still an open debate as to whether this trend will hold. Increases in the number of insured patients have raised concerns over a doctor shortage, however this assumption is questioned by the Institute of Medicine (they argue an improved distribution of health care providers is more important). A recent Medicare Trustees report contained mixed information showing that costs have been flat in the last two years but long-term financing challenges remain (this is almost exclusively a federal issue outside the scope of the state house). In short, it isn’t entirely clear where we stand, but we know we have challenges that must be met. Near the end of the 2014 session, we noted the importance of debates on policy issues that are respectful and not based on preconceived notions as the debate over medical marijuana legislation was in the House. Health care policy is clearly a very complicated subject, but it is particularly important that the legislature meet the standard of respectful, informed debate when it comes to this issue. Spencer and his team will continue to work towards creative solutions that ensure access to quality, affordable healthcare for all Georgians and lay a foundation for a healthy Georgia. Got any more issues we should profile? Have questions about this topic? Reach out to us here!